Did you manage to see the The Mail last week with a lovely article all about Art Gene’s Landscape Working Party? Missed it? You can see the online version here. 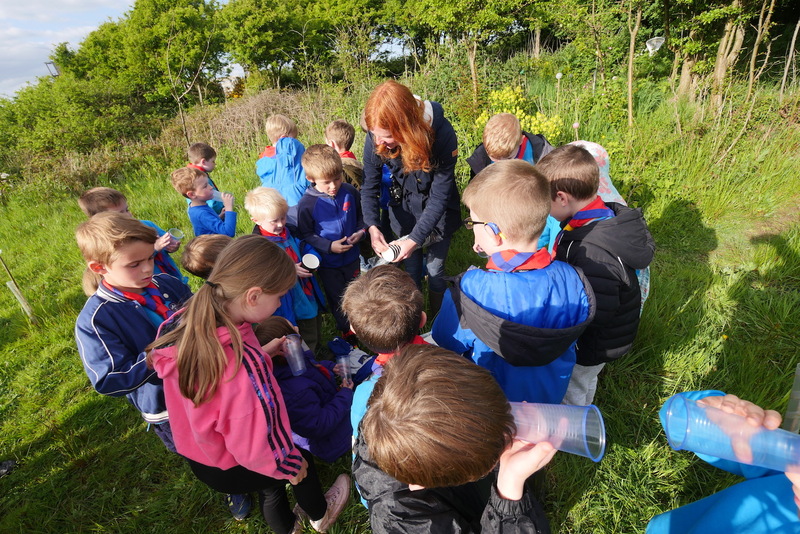 The Landscape Working Party is coordinated by Barrovian and Ecologist Eve Mulholland, it is a friends and volunteer group dedicated to exploring, enhancing and reinvigorating the green spaces in and around the Barrow Borough. 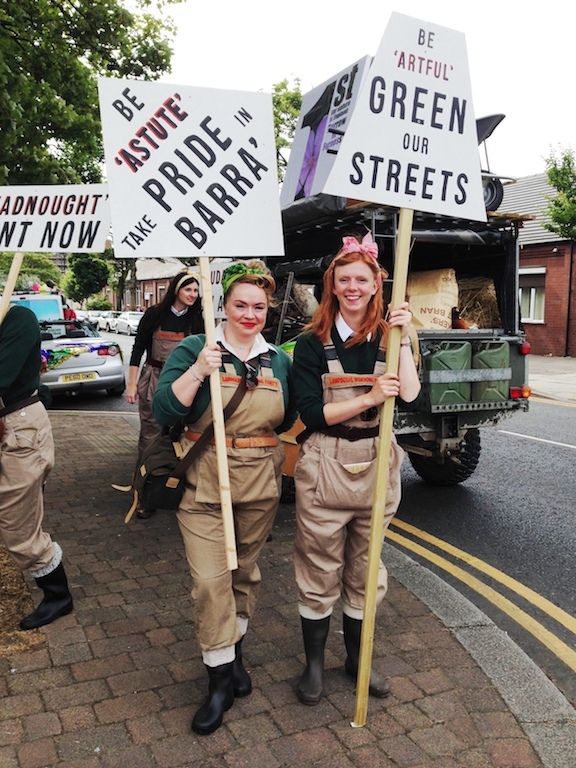 You might have seen Eve as part of the Barrow Carnival parade back in June when the ladies of Art Gene, young and old, dressed as Land Girls and strutted their stuff up Abbey Road waving their banners with fun slogans like ‘Be Astute, Take Pride in Barra’ and ‘Be Audacious, Grow A Pear’! walking alongside their ‘pimped up’ Land Rover demonstrating that Barrow has much to offer us. Barrovian Eve, recently recruited by Art Gene to help head up the The Islands & Bays of Barrow & Furness Coastal Team as Landscape Engagement Coordinator, funded by the Coastal Community Team, alongside project manager Rachel Capovila. Both ladies are keen to have all Barrovian’s re-engaging with the beautiful landscape around the town. “Barrow is a unique town set amongst an incredible landscape. There’s great potential in our local area and so much to explore!” said Eve Mulholland, Coastal Team Landscape Engagement Coordinator. Eve trained at the University of Liverpool for her degree BSc (Hons) in Ecology, has worked for the National Trust and as an outdoor instructor and is also an outdoor enthusiast enjoying backcountry skiing and climbing. She has designed a Summer of different activities outdoors to suit all ages and abilities. 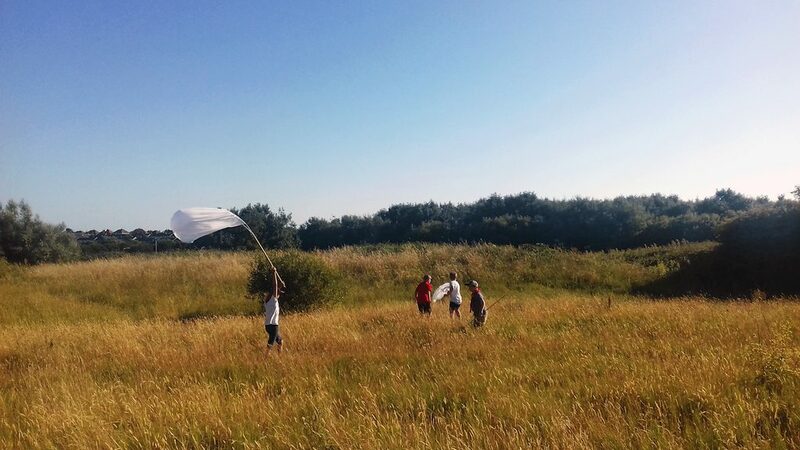 The Landscape Working Party comes hot on the heels of the success of the Allotment Soup project, on Walney Island run by Artist-in-Residence Hannah Brackston. The idea being to shine further light on the allotment and Barrow’s other wild and green spaces encouraging the local community to enjoy them. All ages welcome. There will be some access issues at some points on the walk. Speak to Eve about any requirements. Explore the views and unusual ecology of Barrow’s artificial mountain, a legacy of what was once the largest ironworks in the world. Joined by expert ecologist Claire Cornish from Back on Our Map Project, introducing an exciting species reintroduction and propagation scheme for the area. With speakers at points along the walk, including local historian Iain McNicol. You can also see Eve in our little film about the Feather Your Nest project back in the Spring!